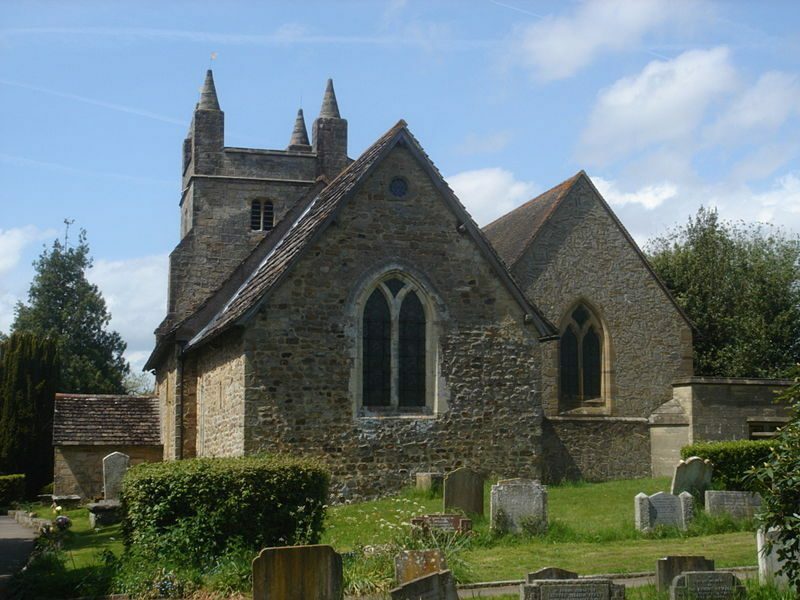 The main photograph shows St Mary Magdalene Church at Bolney from the east. 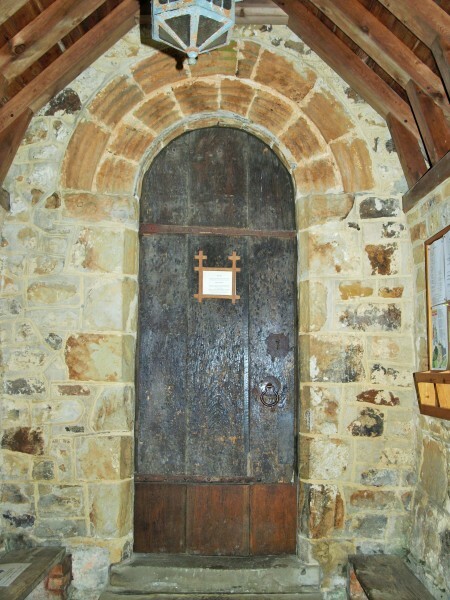 It is basically an early Norman building, but, as with nearby Wivelsfield church, it has a typically Saxon style doorway. 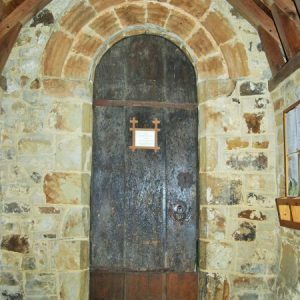 The first picture in the gallery below is of the ancient south doorway seen from the porch, showing the typical Saxon height and width. 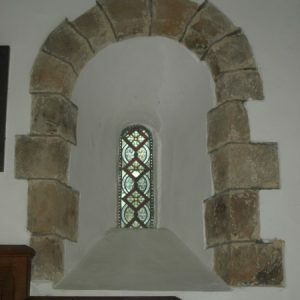 It is, however, post-Conquest late 11th century. 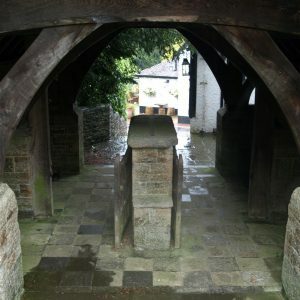 The second photograph is of the south porch which was added in 1718. 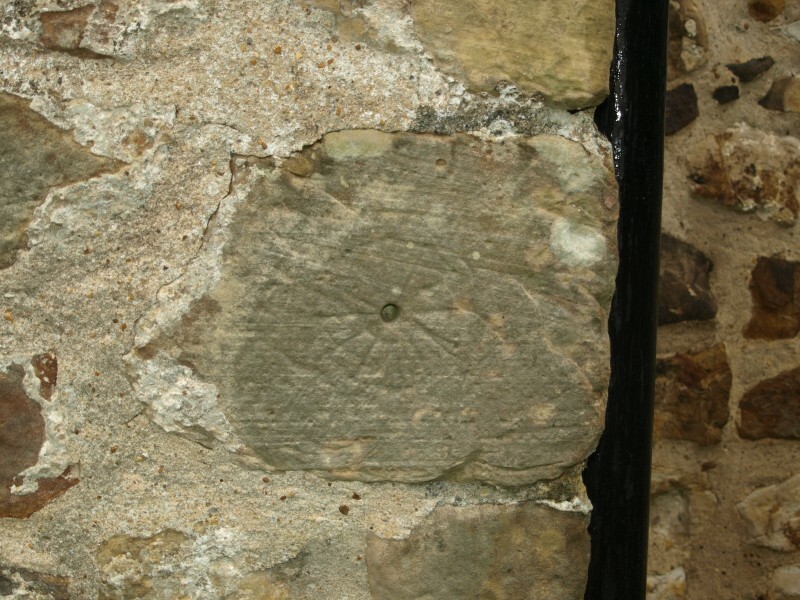 There is a 19th century sundial on the porch gable. 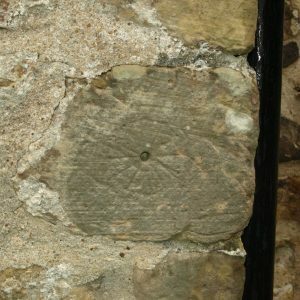 There are also two mass or scratch dials at St Mary Magdalene. 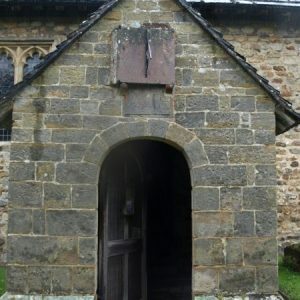 The one inside the porch is hard to make out, but there is a clearer example on the external south east corner of the nave, shown in the third picture in the gallery. 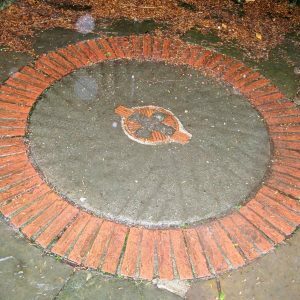 These dials, to show the time of masses, consisted of a central hole for fitting a gnomon, surrounded by engraved lines to mark the hours. 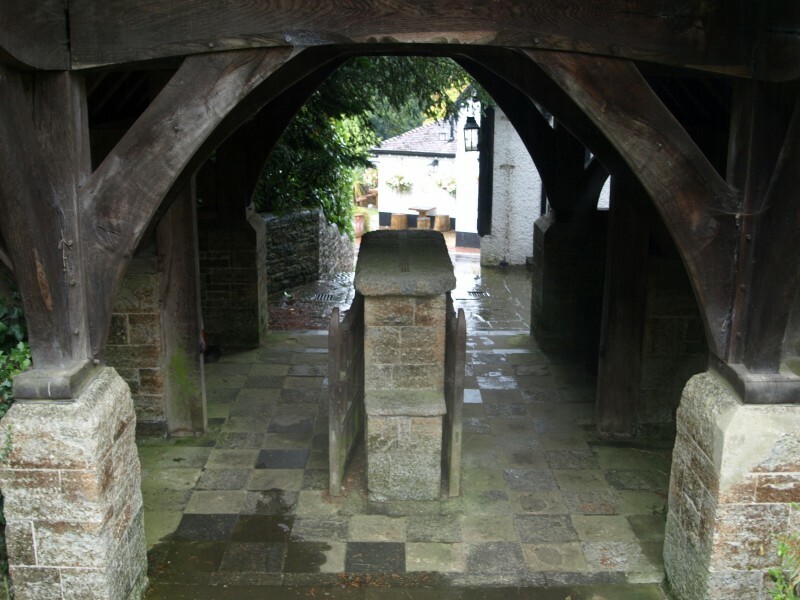 Below in the gallery, the first two photographs are views of the fine lychgate at St Mary Magdalene. 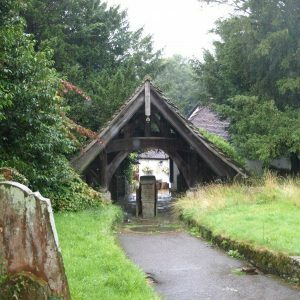 The church is approached up a short twitten which leads to an exceptionally grand lychgate built from local materials in 1905 with donated funds from Edward Huth. The well-to do Huth family lived locally at Wykehurst Place, and it was Edward’s father, Henry, who had assembled a huge collection of rare books which was sold in 1910 for £300,000 (approximately equivalent to £27 million today). 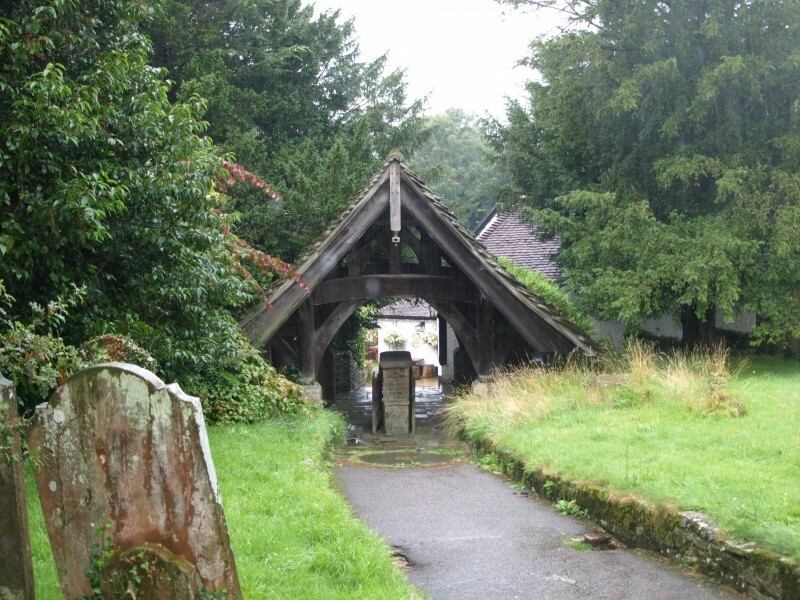 The lychgate is constructed in oak and Sussex Marble, with a Horsham stone slate roof. 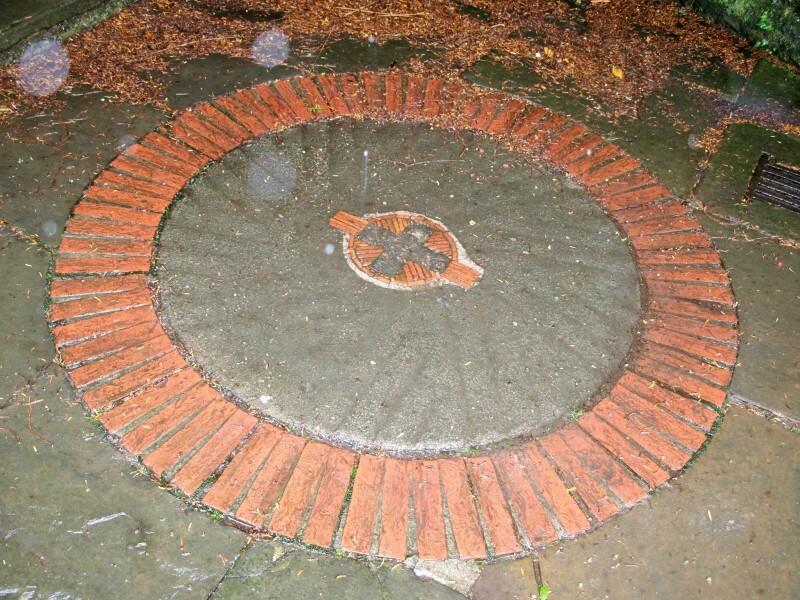 Set in the path at each end of the lychgate are millstones from a local mill. 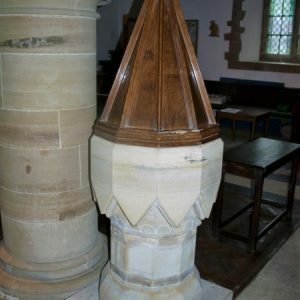 One of these is shown in the third photograph. 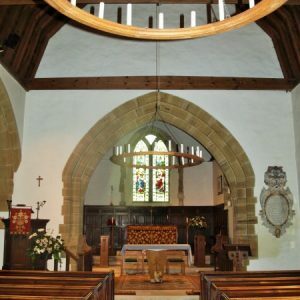 The fourth picture is of the nave and chancel looking east. 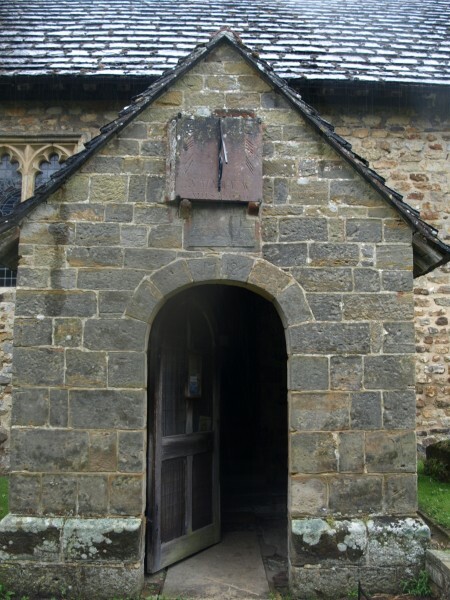 The ‘weeping’ chancel is largely original, dating from c1100. 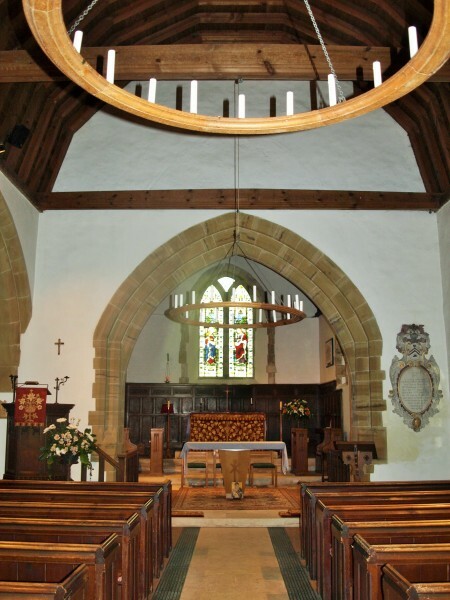 The chancel arch was renewed in 1840. The 2 light east window has stained glass installed after 1905, and depicts Mary Magdalene and Christ. 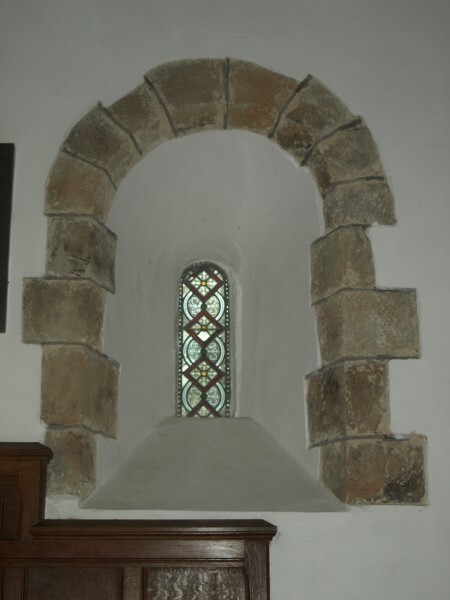 The next photograph shows one of two splayed lancets in the north and south walls of the chancel. They are original Norman. 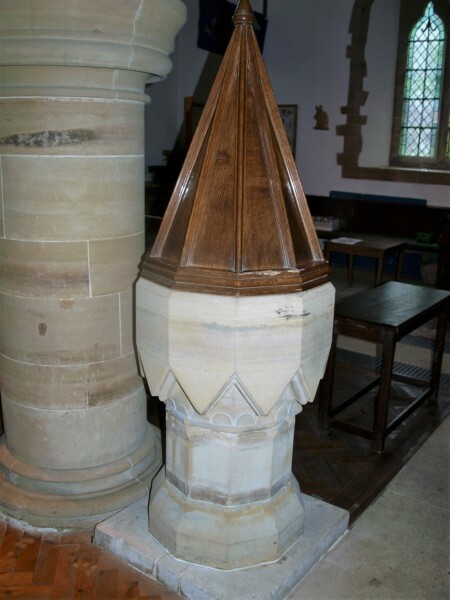 The piscina is 13th century, and is now set in 17th century panelling to the lower half of the chancel walls. 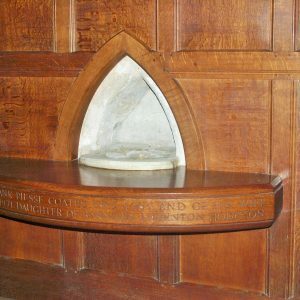 The final photograph is of the modern 20th century font and cover. 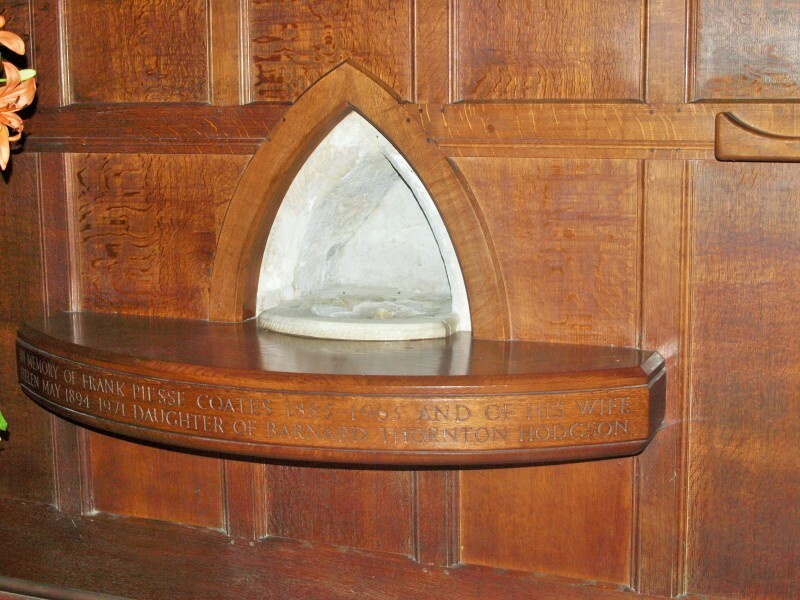 The octagonal bowl has unusual ‘zigzag’ detail extending down from its lower edge.